Conscious consumerism is on the rise, as consumers gain access to information about where their food is coming from, and want to purchase products in line with their values and dietary needs. Interpreting the labels on foods can be a challenge: what do they all mean? With this guide, we demystify the labels you may see on products that Boston Organics carries. The USDA Organic Certification is at the heart of Boston Organics' business. All products that we carry, from produce to snacks to dairy, are USDA certified organic. Look for the seal at the right on packaged items, and look for a 9 in the identification code on produce stickers. Certified organic farms and facilities follow a site-specific organic system plan and are inspected annually by third party organic inspectors to ensure compliance. In order to fulfill the USDA organic regulations, farmers and processors must prove that they aren’t using chemical fertilizers, synthetic substances, irradiation, sewage sludge, or GMOs in organic production. When it comes to animal production, USDA standards prohibit antibiotic and synthetic hormone use in organic meat and poultry and require 100% organic feed for organic livestock. 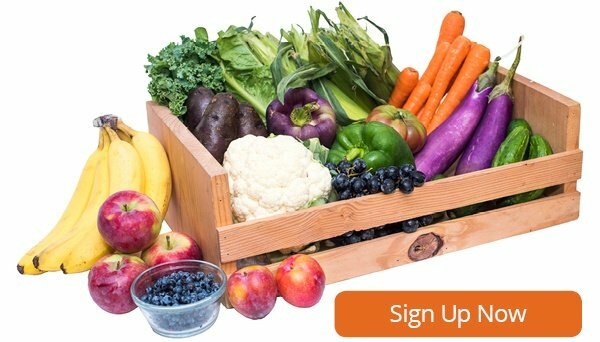 All products that Boston Organics delivers are non-GMO, since GMOs are prohibited from all USDA Certified products. Many of the add-on items that we carry, however, are additionally verified by the Non-GMO project, including Late July Chips, Quinn Popcorn and Veganic sprouted cereals. Members of the Fair Trade Federation share a strong commitment to fair trade practices with the aim of promoting sustainable development and alleviating poverty. The principles of the organization emphasize a fair price for goods, safe working conditions, environmental stewardship, and respect for cultural identity. Though products with the Fair Trade Federation seal are not inspected, members do go through a rigorous screening process before they are permitted to join the federation. Boston Organics carries coffee and sugar produced by Dean's Beans, which is a proud member of the federation. The Fair Trade Certified seal is a separate commonly seen label, maintained by another fair trade organization, Fair Trade USA, with different standards for trade. Information about this seal can be found on their website. While there is no government-regulated gluten-free label, the FDA allows food products containing less than 20 parts per million of gluten to be labeled as gluten-free. However, several third-party organizations, including the Gluten Free Certification Organization (GFCO, certification seal at right), audit suppliers and food products to ensure that they adhere to this standard. GFCO standards require that no prodcut contain more than 10 parts per million of gluten and requires ongoing testing of finished products and equipment. 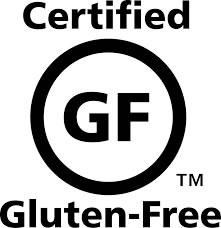 Quite a few of the products we carry are gluten free, and Tierra Farms products carry the GFCO seal. Though the label "natural" does have some commonly understood implications, it is not a regulated label, meaning that the FDA has not developed guidelines to certify products that claim to be "natural". According to the agency, the term can be used to describe products with no "added color, artificial flavors, or synthetic substances." There is no official natural foods seal. Ready to take on the snack order? Shop add-ons today.